George Clooney seems to have it all. He is 50 years old and yet women of all ages still cite him as their dream movie star – and plenty of men would like to be him, with enough charm and sophistication to rise above any situation. Yet here is a movie star who doesn’t play by the normal Hollywood rules. He has an opinion, he has intelligence, and he is ready to use his celebrity as a vehicle that can create social change. There has been a lot of coverage of his arrest today in Washington DC. 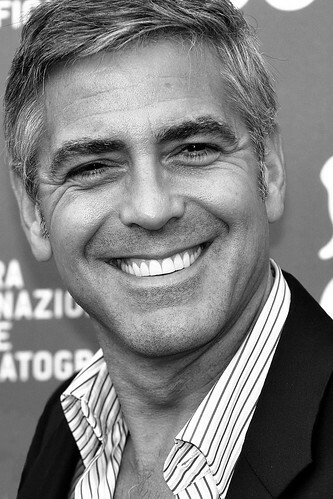 Clooney and his father were thrown in jail in Washington DC for protesting outside the Sudanese embassy. The BBC says that Clooney is a keen protester when it comes to the issue of South Sudan, but this fails to do him justice at all. George Clooney is a pioneer in the use of satellite technology for monitoring hostile government militias. It might sound incredible, but here is a Hollywood actor who personally set up a project to use satellites to monitor what was going on in Sudan and to then use social media to report live information as it could be observed. Clooney has no need to be doing any of this. He could be living a nice life in Beverly Hills making new movies each year that boost his bank balance, yet he uses his personal wealth and fame to make people aware of injustice on another continent. How many other actors in his position can you name that are really doing something as worthy with their fame – more than just appearing on a charity telethon? Silent movie The Artist may have won five Oscars last night, including Best Picture, Best Director, and Best Actor, but in Brazil – a country of almost 200m people – only 144,840 people in 51 theatres have paid to watch it (HT to @brazzil for the stats). This may seem like a terrific failure in the cultural taste of Brazilian movie-goers. Language is no excuse, because the film has almost no dialogue. Many are asking the question why so few in Brazil have been to see the movie. But surely the answer is obvious? Walk down any major street in urban Brazil and there will be a guy on the corner selling DVDs. The going rate is usually three movies for R$10. That’s about USD $2 a movie. Now check out how much it costs to go and watch a movie at the cinema. I looked just now at the cinema inside the Bourbon shopping centre in Pompeia, São Paulo for a ticket for Hugo tonight – normal tickets are R$40 each. To be fair, this is an IMAX movie and therefore a little more than a regular presentation, but even so it is a real ticket price for a movie that is on right here in Brazil in a theatre tonight. So even a person who is fairly honest and doesn’t like supporting DVD piracy has to compare R$40 to watch one movie in the theatre with R$10 to watch three on DVD – twelve movies for the price of one. This problem is also compounded by the legitimate DVD market, which is like the legitimate cinema, just overpriced. The public in Brazil have voted with their feet. Water cannot run uphill… if pirate movies are a twelfth of the cost of the legal version then who will pay the “correct” price. Only those who want the full cinema experience, those who refuse to support piracy at any price, and those who managed to get a date with a girl and know that a pirate DVD will not impress. I still go to the cinema myself and I like the communal, inclusive experience… being surrounded by that big Dolby sound and hundreds of other people all watching the same movie, but I don’t watch every single movie in the theatre. I bought a pirate copy of The Artist – and it was watermarked as a DVD that came from the Academy Award judging process… so one of those judges allowed their DVD to leak and be copied for millions around the world to watch almost for free. The real answer to piracy is not to go out arresting the guys selling DVDs on the street, it is to make the legitimate route to enjoying a movie easier than buying a pirate – and good value. At present there is no incentive for anyone to keep supporting cinema tickets and legitimate DVDs when they are priced so much higher than the pirates. Of course the argument goes that if everyone bought pirate films the movie industry would collapse – which is nonsense. It would just move from a model funded by tickets and DVDs to product placement and sponsorship – a process that is already developing anyway. Morgan Spurlock financed an entire film this way in 2011. Services like Netflix are offering Brazilians unlimited movies for R$15 a month. Of course it depends on having good broadband, and many people don’t have the technical ability to hook up a computer to a TV, but Internet-enabled TVs are standard today. As this latest generation of TVs rolls out with tools like Netflix built-in and on the remote control, it will be easy to click a button to get any movie from a library of millions – easier than going out and selecting from a limited range of pirate DVDs. And this model is affordable too… that monthly charge is less than half the price of one ticket to see Hugo tonight at the cinema. Mark Kermode is the film reviewer on BBC Radio 5. His show goes out every Friday afternoon on the radio and is also available as a podcast on iTunes – it has become one of the most popular British podcasts on iTunes. Each week, Kermode runs through the new movies of the week and exchanges a considerable amount of banter with co-host Simon Mayo. Some time back the film ‘Percy Jackson and the Lightning Thief’ was released and Kermode criticised it as nothing more than an American Harry Potter – a kind of colour-by-numbers movie about kids at a boarding school where they learn about magic. His review suggested that any filmmaker could produce a film about kids learning magic and with the support of the Harry Potter fan base, it would almost certainly be a success. He suggested the name ‘Benjamin Sniddlegrass and the Cauldron of Penguins’ during the review as a typical name that could be used. And so an Australian filmmaker went off and made a film using that name. It has just been released and contains a number of jokes referencing the Kermode show. So regular listeners to the show will find references to Jason Isaacs, David Morrissey, Werner Herzog, and all the favourite characters that seem to pop up week after week on the film show. I’m going to download and watch it soon. Given that the budget was only something like A$5,000, I don’t expect to be dazzled, but to put a full-length feature movie together based only on a BBC film review is an impressive (or mad) achievement so it deserves some support. 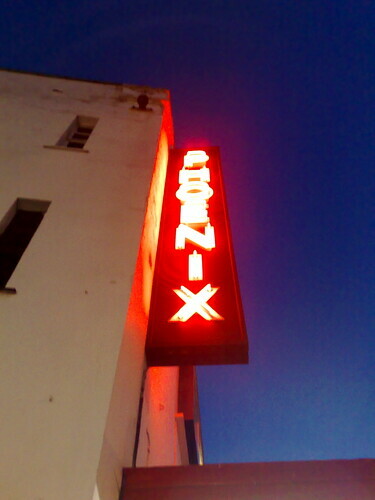 London in films – why don’t they get it right? I went to see the new Clint Eastwood movie ‘Hereafter’ at the weekend. I knew nothing about the film before seeing it, I was just in one of those ‘why not catch a movie’ moods and was passing the cinema… I saw that Clint had directed it, so that was enough. And it was OK, quite an enjoyable film. Matt Damon is getting better as he gets older and Clint is having something of a renaissance in his twilight years. Of course, being about the afterlife you need to suspend disbelief and assume that there really is a place you go when you die that is all bright lights and people floating around in eternal happiness… but apart from the ‘Ghost’-like plot devices, it all works quite well. But, being a Londoner I was appalled by some glaring issues with the film. And this is just from sitting there watching it, not scouring the web for bloopers. 1. Since when did Virgin Atlantic fly direct from Thailand to France? 2. The London Book Fair at Alexandra Palace? It’s always been at Olympia, except for the past few years where it has been at Earl’s Court, but never at Ally Pally. 3. Liverpool Street Station is featured in the film, but re-badged as “Charing Cross Station” – why? The last time I noticed so many misrepresentations of London in a film was in ’28 Days Later’ where the geography of London was all over the place and it’s annoying for locals when surely the filmmaker doesn’t need to do it? Or am I being naive and ignoring the need to scrape together product placement dollars wherever they can be found? Lock them up and throw away the key or intervene? Last night, at the Prince Charles Cinema in London, there was the first central London screening of a new documentary, Breaking Rocks, directed by Alan Miles. The documentary explains how the Jail Guitar Doors project, created by Billy Bragg in 2007, started and what they have achieved with the programme since it launched. Jail Guitar Doors is an independent initiative which aims to provide instruments to those who are using music as a means of achieving the rehabilitation of prison inmates. JGD takes its name from the b-side of the 1978 Clash single Clash City Rockers. Giving musical instruments to prisoners serving time is a controversial initiative. It’s not something the right-wing media will be too happy about, but the statistics on reoffending speak for themselves. Of course, the stats vary for different types of offence and prison regime, but in general if a criminal has been imprisoned, they are more than 50% likely to come back once released. This figure is significantly reduced if the prisoner has been involved in a music education programme. The idea of giving them a guitar and showing them how to use it is not aimed at creating an army of ex-con James Blunts… what an awful thought. It’s because the guys who start learning guitar while in jail show a demonstrable increase in self-esteem and self-awareness. Just by learning something new they suddenly get the power to resist a lot of the peer pressure culture associated with drugs, and it makes them realise they can play a role in a normal society. The challenge to the guys who are given the guitars is to show that they can come out and stay out. The guitar unlocks the realisation that they can learn and they can do something useful. One of the main criticisms of prison education programmes like this is that prison is supposed to be about retribution and punishment. Locking these guys up and letting them rot. The issue with that attitude is that they will come out at some point. Guys doing a 3-year stretch for drugs will be back out on the streets soon, and with no idea what to do, of course they will turn back to the same life they had before coming inside. The simple act of teaching someone to play the guitar can (and has) shown people that there is another life out there that doesn’t involve drugs, nicking from people, violence, and ultimately returning to jail. The film is very well shot. It’s an exciting and interesting documentary, explaining the issues as well as the history of JGD. After the film screening in London, the film director Alan Miles and Billy Bragg himself did a Q&A session in person. And after the talk, there was some music. Not only Billy doing a few songs, but two ex-cons who learned to play guitar and write songs because of Jail Guitar Doors. I went yesterday to meet Steve Fisher from KPIT Cummins at the Frontline Club near Paddington station. Steve has asked me to speak at a corporate event he is organising later this month and so he wanted to quickly record a 2-3 minute piece on video camera where I just talk to the camera about what will be in my forthcoming speech. The background noise in the Member’s room at the Frontline was too much, so we tried the private events room. No go, as they wanted cash for us to film in there – even a 2min piece to a video camera. We had the same problem when we tried filming in their restaurant… payment required for filming. We took a walk down the road to the Hilton hotel at Paddington. They wanted £100 an hour for a meeting room. So we decided that was not going to be the answer either. We scouted the station itself for locations, but they were all too noisy, with the background din of train announcements. The moment we found a good location and setup the tripod, two security guards asked us to move on as we were a ‘security threat’ to the local offices… which included the HQ of Marks & Spencer just across from where we were filming. We tried to find another spot on the canal, once the guards were not looking, but the work on Span 4 of Paddington station was causing a huge noise – constant pneumatic drills going off – so that was completely out of the question. How difficult can it be to shoot a short film in London? Walking around Paddington we were probably photographed hundreds of times by CCTV, yet it seems it’s illegal to pull out your own camera and shoot a short film yourself. Where did all these bye-laws come from? I’m so pleased the movie screening finally happened! It all took place last night at the Soho hotel in London. This all started a couple of years ago when I saw this video on youtube. I liked the fact that someone had turned a current affairs story into a human interest story – an actual movie that would interest people beyond the business community. I started using the video in some of the MBA classes I teach, as an example of business strategies crossing into general consciousness. One day I just thought I would contact the person who uploaded the video – out of interest. I was surprised to soon receive an email from the director (and writer) John Jeffcoat! I then had some chats with John about the movie and how we might arrange a London screening. I started trying to put it together as an event that the National Outsourcing Association (NOA) could host. 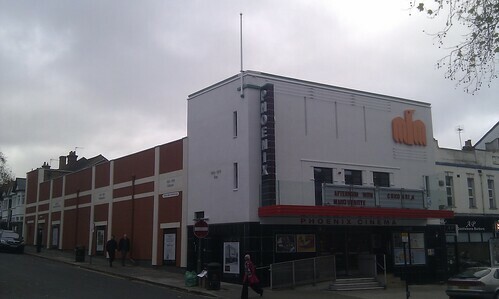 What I found though was that all the companies I approached for funds (to pay for the cinema, drinks etc) were all a bit scared of the subject matter. The film has some amusing sections, comic situations involving cultural misunderstandings and many of the companies I spoke too just shied away from associating themselves with comedy when the press is often accusing them of stealing jobs from the UK and sending them to India. Eventually I even got rejected by the NOA board. Not that they didn’t like it – we had a private screening on DVD and the board liked it, but they were wary of using membership funds on an event that was ‘fun’ rather than educational or research driven. However, the NOA provided a sponsor in the end. Buffalo is the marketing and communications agency that works for the NOA. I had an offer of some cash from the law firm Olswang, but it was not enough to completely cover all the costs. Buffalo stepped in and said they would match Olswang and cover any additional costs so the event could happen!